Sounds of laughter echoed in Alumni Hall on Saturday, Feb. 6 when comedian Pete Lee entertained nearly 50 students with his “wimpy but mean” humor. The show opened with a comedic performance from sophomore Brad DePrima. Topics of discussion throughout the night consisted of Lee’s lack of experience in the bedroom, his lack of strength, and his inability to pronounce Quinnipiac. “Quinnipiac sounds like something you catch on spring break,” Lee joked. Lee was a semi-finalist on “Last Comic Standing” and has since earned himself a Comedy Central special. The show was organized by the Student Programming Board (SPB), and they did their best to re-create the setting of an actual comedy club. Lee remained quick on his feet throughout the show as he focused on various audience members, especially a girl who was knitting during his performance. Another highlight from the show occurred when a paper backdrop resembling a brick wall fell down behind Lee. “I now know how they must have felt in Haiti,” Lee cracked, who is known for making light-hearted jokes based on tragedies. In an interview last week with The Chronicle, Lee mentioned the time he told a joke referencing Hurricane Katrina in New Orleans following the catastrophe. Lee has a well-known history of using this type of humor to boost spirits. “I encourage kids to get in touch with their inner mean side,” Lee said. While Lee’s performance got off to a rocky start, he quickly won over the Quinnipiac crowd with his underdog persona and enjoyable meanness. 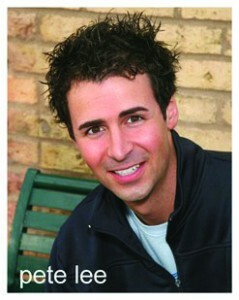 Pete Lee is one comedian worth watching out for the future.